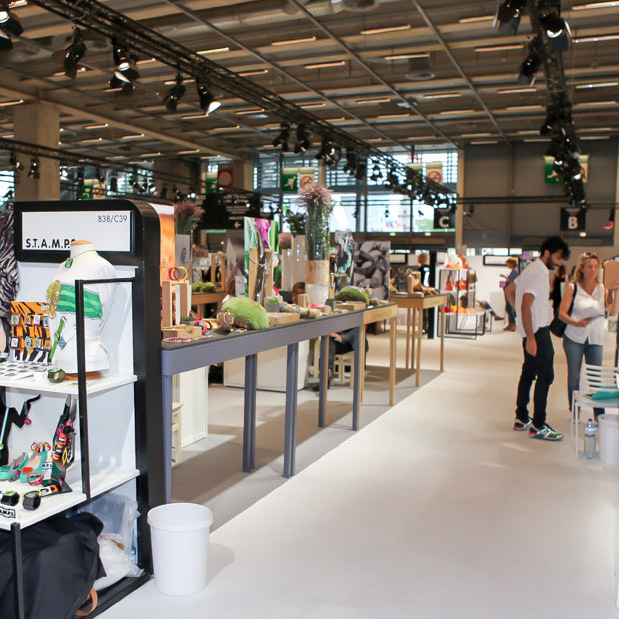 I visited the WHO IS NEXT trade show in Paris to check out the fashion designer and trends scene. The five hour train ride from Nice to Paris was a long one- but we were not disappointed- Paris in the Summer is glorious! WHO’S NEXT is the event to be at if you happen to be a fashion industry professional. Here you will find everything from women’s clothing, urban and men’s fashion, accessories, shoes, leather goods and bags, and of course our favorite: Jewellery! 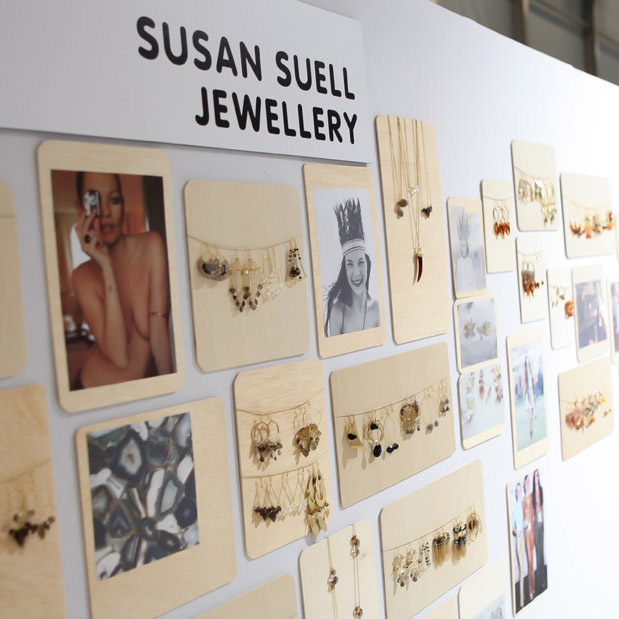 I checked out PREMIERE CLASSE, here over 200 jewellery designers show their work, mainly fashion jewellery. 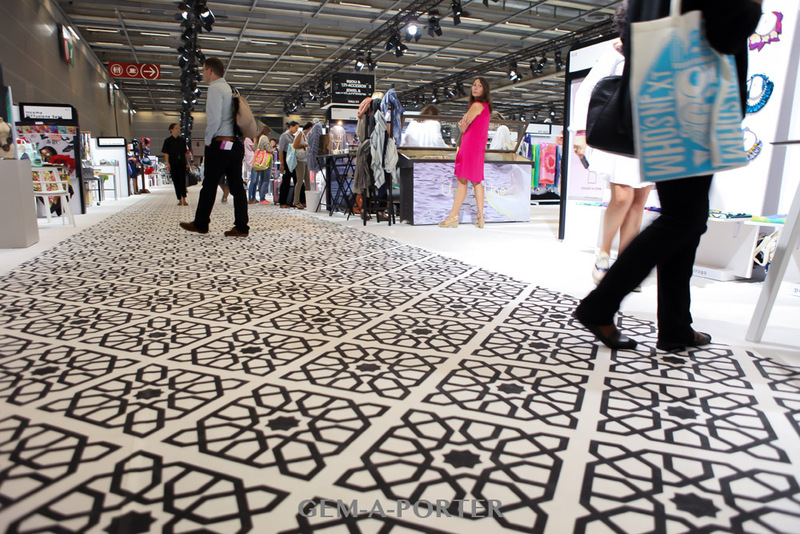 We loved how this year, Premiere Classe, was bursting with extreme colour, unusual materials and techniques. 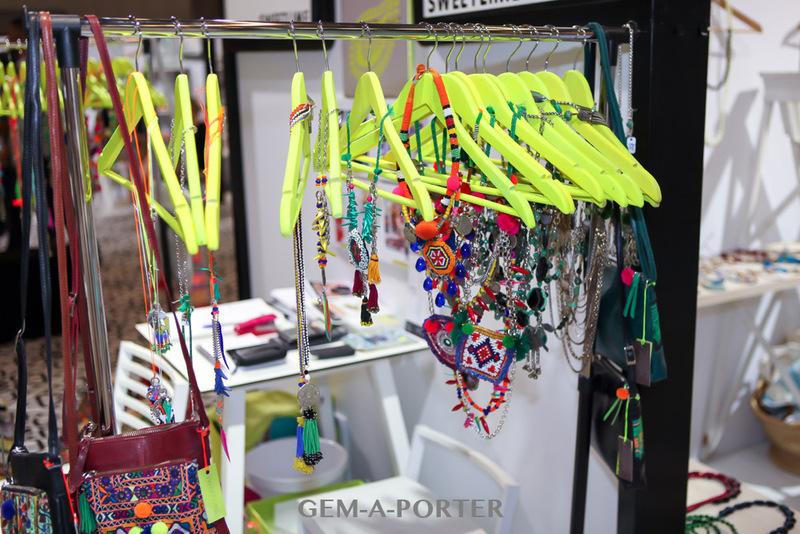 There was something for everyone and it made us at GEM-A-PORTER just fall in love with fashion jewellery all over again! 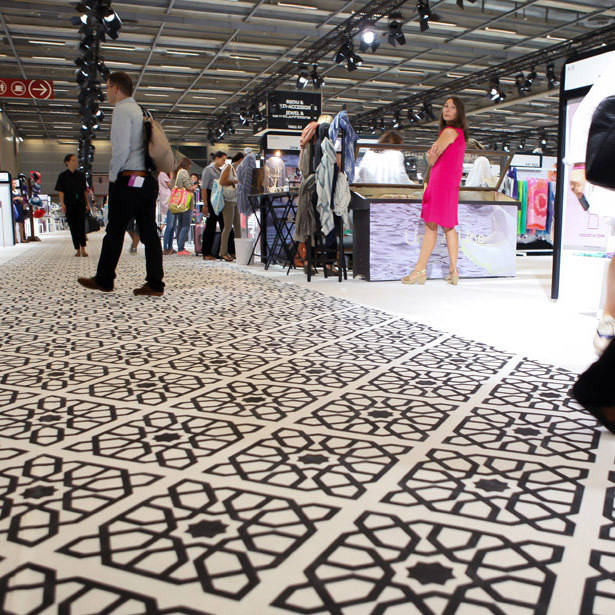 For the last 25 years, PREMIERE CLASSE has taken place twice a year in the heart of the French capital, Paris becomes a theatre for designers to show off the best from their collections. It’s a chance for the fashion industry to take a first look at unique designs from some 350 designers specialising in high-end fashion accessories. 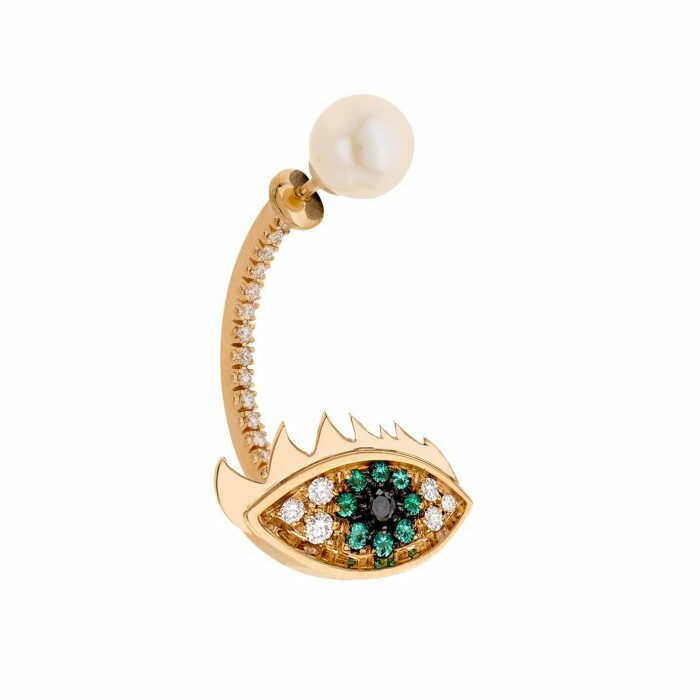 From over 200 jewellery designers, I picked out 15 favourites. 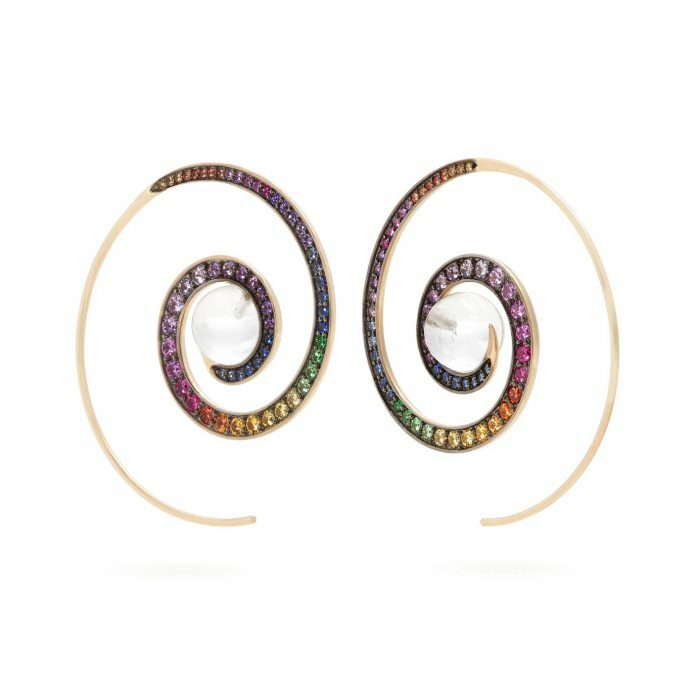 Our choices were based on originality and creativity, how affordable the pieces were and those mind blowing jewelry techniques! 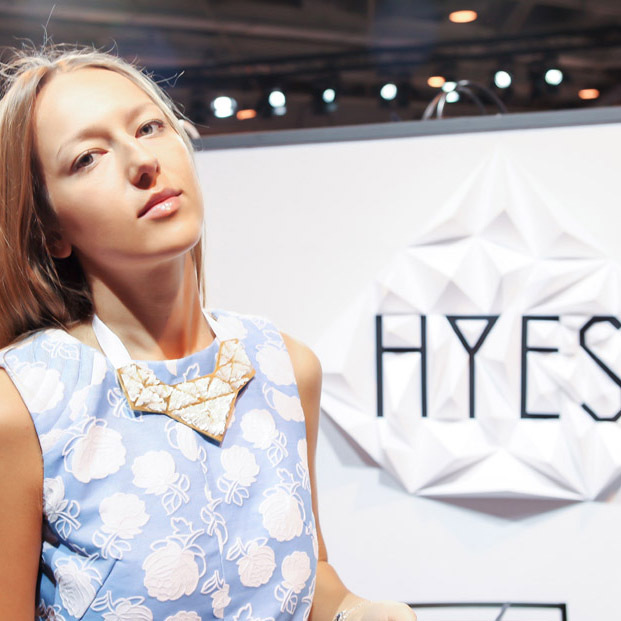 Everything about the jewellery from HYES says ‘Chic’! From its style concept right to the product itself, this independent and versatile creation studio focuses on the ethical and aesthetic. 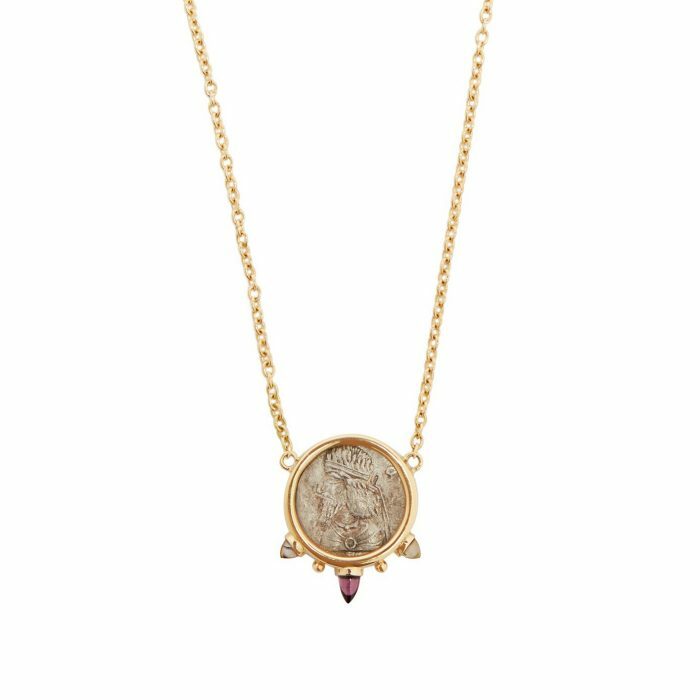 Not only will you have an amazing piece of jewellery, but it’s also made with the environment in mind! Back to the design and there is a real “vocabulary” of shapes, fabrics and imagery in the jewellery that we saw. Angles and gold edges along with glimmering surfaces, I adored the textures and shapes found in all of the HYES jewelled creations. Catherine Osti began her career in Chanel’s famous tailoring workshops in Paris. It was here she spent six years working on Haute Couture collections. After having accumulated a wealth of experience, she launched her own brand based on a simple idea: To create fashion accessories that go with all outfits and enhance any silhouette! A real GEMOLOGUE favorite at the show were these Catherine Osti shirt cuffs embellished with jewels, lace, braids and more. The clean tailored look of well pressed cuffs just demand to be combined with any classically sharp Saint Laurent outfit. I first spotted Emilie Roche creations earlier in the year when we were in Marrakech, so it was fab to see more of the collection at Premiere Classe. 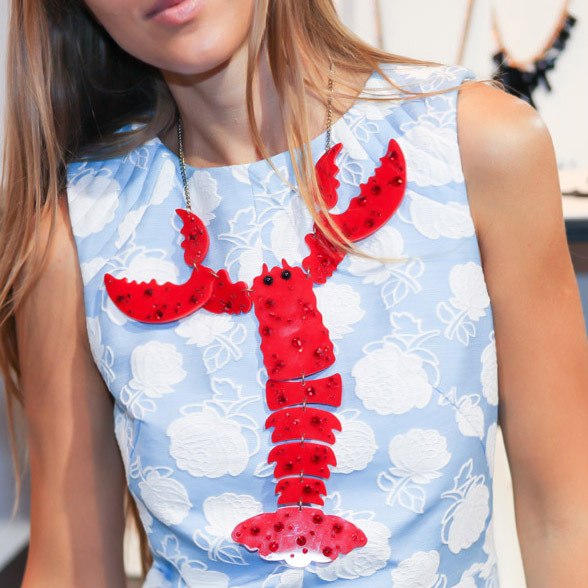 There’s a real sense of the new and daring at Emilie Roche. We found designs unlike any seen before, radically new and yet very wearable. There is a surprising presence to each piece considering their feather-like weight. Imported from Japan or Bohemia, these beautifully opalescent beads come in an endless number of shades, transparencies and shimmers. Matt or shiny, smooth or faceted, they play with light like the suns rays reflecting on the water’s surface. 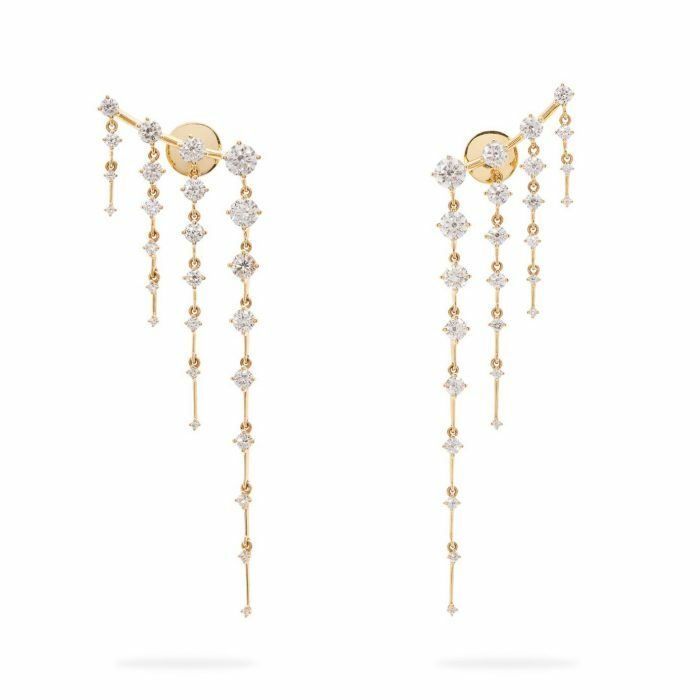 To help with the making of these jewels, Emilie calls upon women of Figuig in Morocco. The designer has worked closely alongside these women on the designs, training them in the skills needed. This craft, which pays fair wages, is an addition to the women’s lives and income without interfering with their daily routines. Emilie Roche jewellery took our breath away with the wide range of unusual and very unique colours that they are available in! Samuel Coraux offers contemporary with a visual twist, there’s no denying that this designer has flair! Find his jewellery in museums such as the Centre Pompidou and Decorative Arts Musee’s in Paris. Pieces from the Samuel Coraux collection were a feast for the eyes at the show! 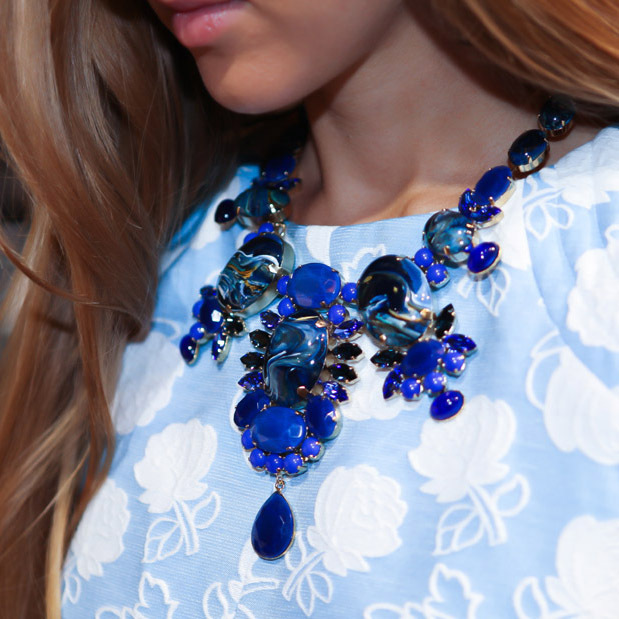 These large and vibrant pieces are a joy to wear while making a serious style statement! 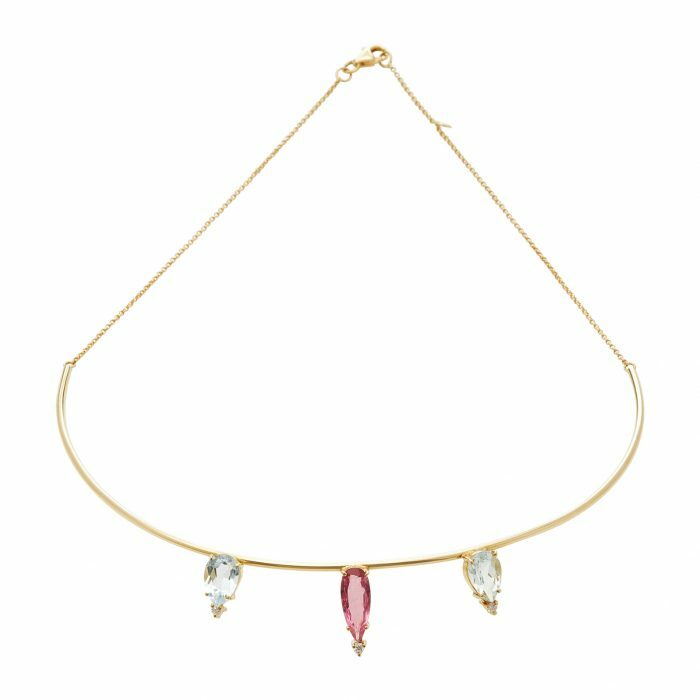 Samuel Coraux is all about clean lines, jewellery is always sensual, accented with color and light. 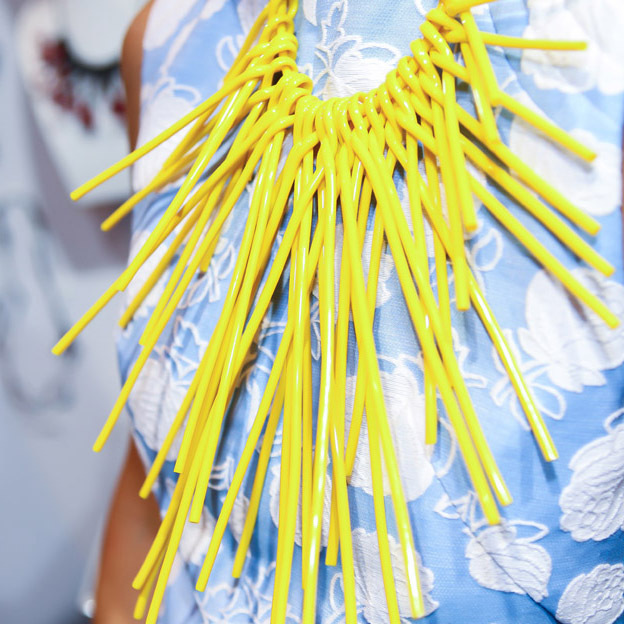 When trying on the pieces we felt an offbeat elegance, each piece with a cool sculptural as well as graphic feel. 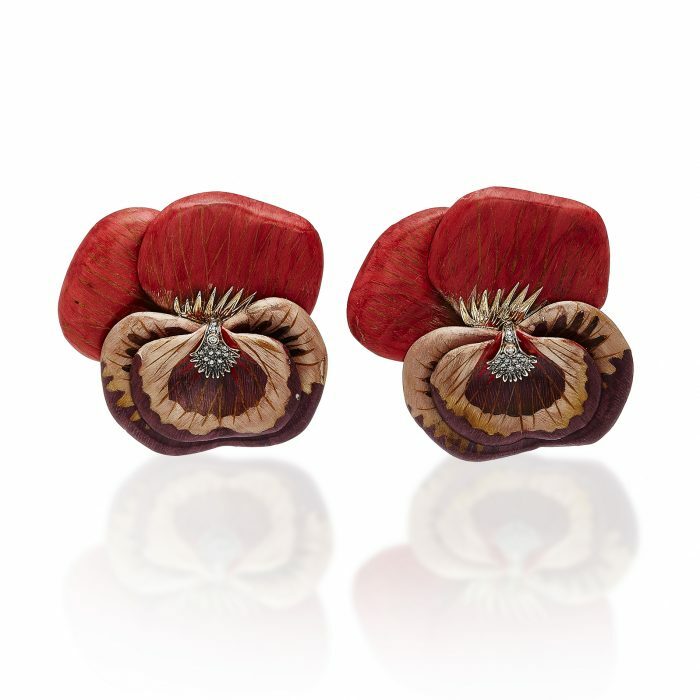 Philippe Ferrandis for us is the king of contemporary costume fashion jewellery! His is a completely unique style and vision. 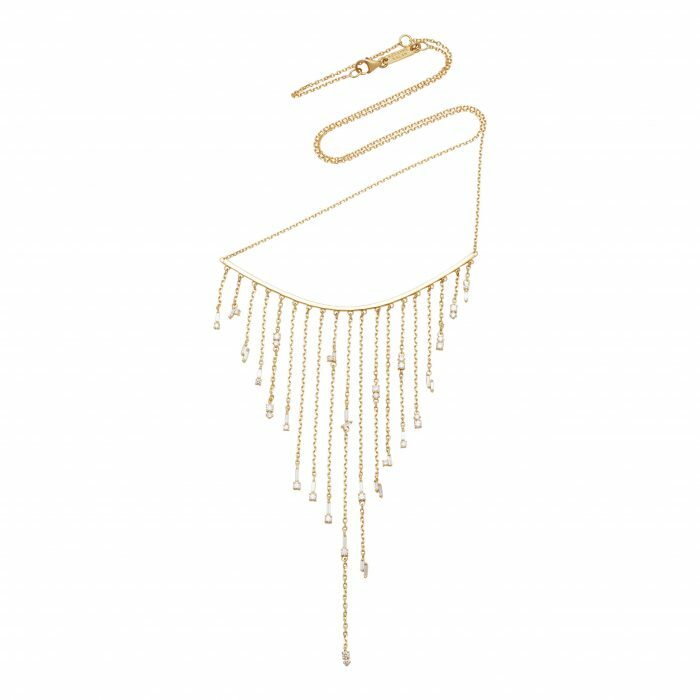 Based in Paris, Philippe has been designing costume fashion jewellery and accessories since 1986, find statement pieces that are elegant and bold. 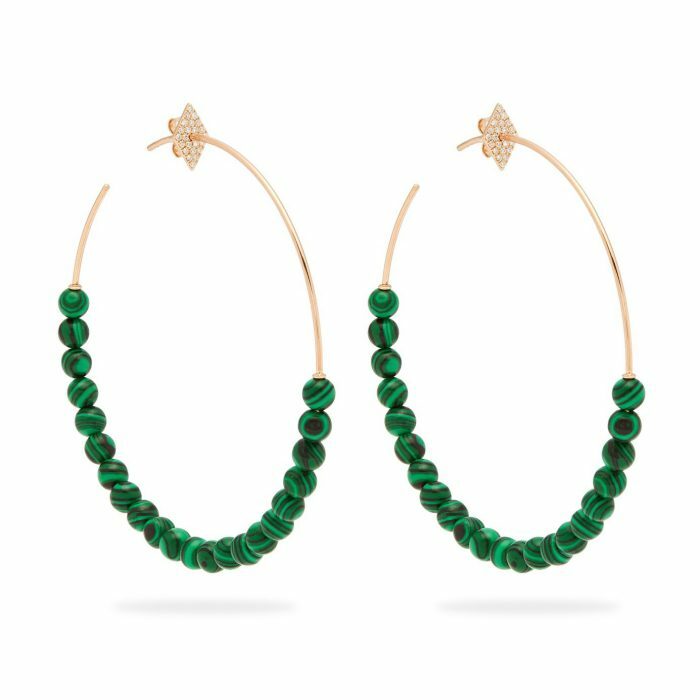 All the jewels are handmade in Philippe Ferrandis’ Paris studio located at the Viaduc des Arts, a famous avenue renowned for the finest in French crafts. I adore the Bernard Delettrez signature long rings, colourful and fun they are a must have for your summer jewellery collection! 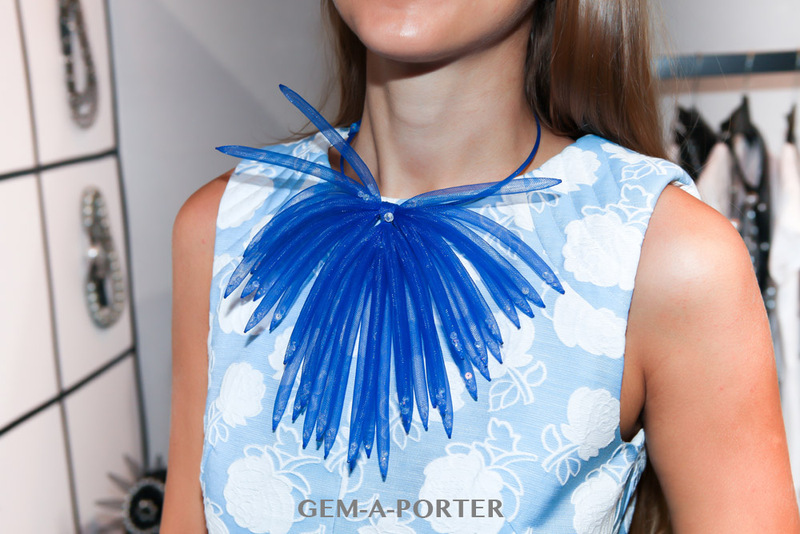 Read more about GEMOLOGUE visit to the Bernard Delettrez studio in Rome, here. If it’s bold and brazen you are looking for, take a look at Janete Zamboni. This designer created her first piece back in 1998, since then she has had a huge following. Her well known signature design is known as “loose pearls in a net”. Janete Zamboni signature style is popular designer in Russia. 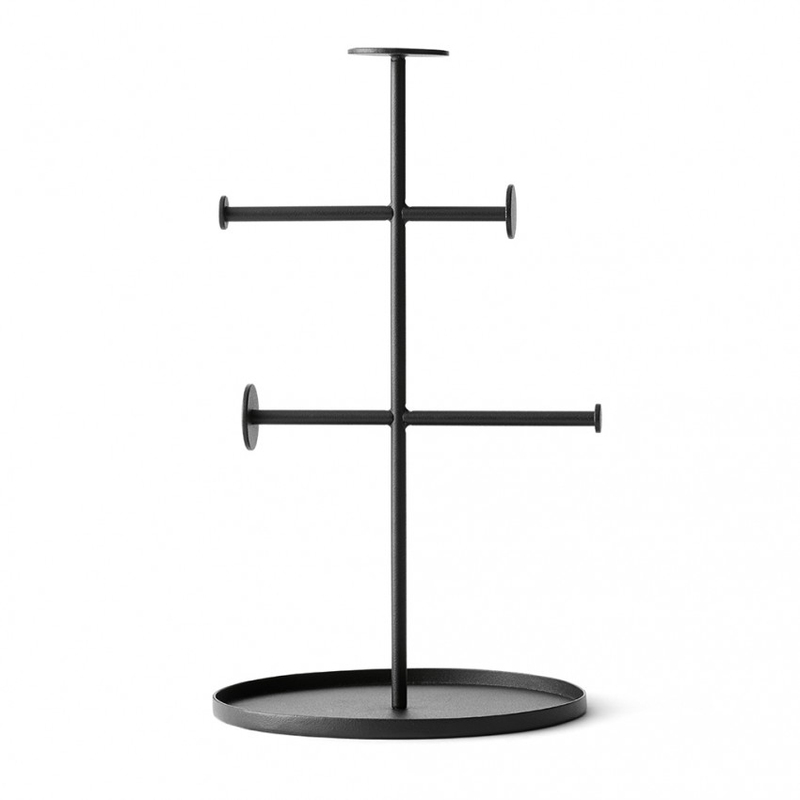 Find Janete Zamboni designs in the MoMA Design Store, New York City, Tokyo as well as in Sao Paulo, Moscow, Doha to name but a few. Looking for something unique for the big day? 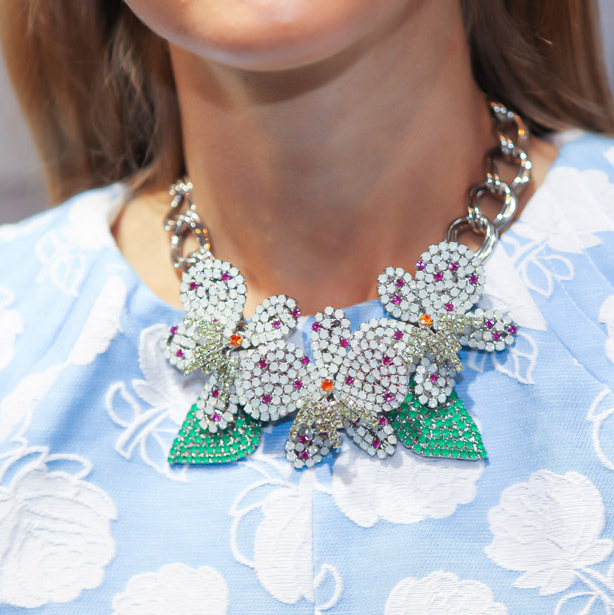 So many of us will spend hours seeking out the perfect wedding jewellery. I have discovered a unique take on the traditional wedding necklace! Janete Zamboni have created a white version of the ‘Loose Pearls in a Net’ with pure white pearls. A truly unforgettable way to dress up the ultimate wedding outfit with. PENTA is a super cool brand of beaded accessories founded by designer FUJI TATE P and the TOHO company. FUJI TATE P, is artist of embroidery and the founder and artistic director of PENTA. 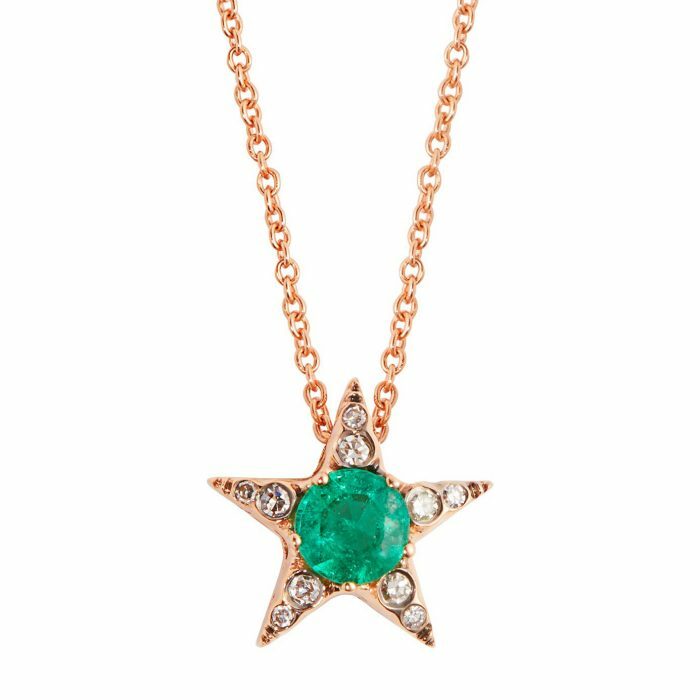 A designer who always looks for fresh new artistic directions with original creations, PENTA jewels never fail to win over admiration- we are huge fans! He creates by mixing classical bead embroidery with an avant-garde fashion design. The result is some seriously original work, the three dimensional multicolored works symbolize an endless creative curiosity that we just love. Designer Eri RISTORI TOMITA formed the brand in Paris after her jeweller training in Japan and experience with a french costume jewellery brand in Paris. Vittoria Ceccoli was born in Bologna in 1976, where he currently lives and works. As a designer, he successfully merges craftmanship and passion. The Orchid collection has great scenic effect but is at the same time extremely refined. Each piece is hand made using a difficult technique merging mosaic crystals. Today Vittorio crafts jewels alone, offering bespoke jewellery to customers. Several high couture creations have arisen from his visionary imagery. Find a whole variety of irony and shapes from harmony of nature and merciless of street life co exist. 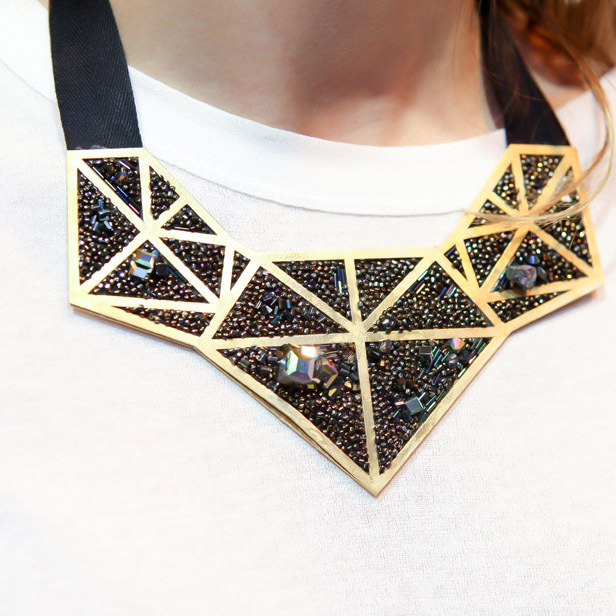 Mix these different aspects together for a orchestra of design- Jewellery that we could see ourselves wearing everyday! Discover how the bridal collection is created here. Gemming a sculptural arm piece by Vittorio Ceccoli. 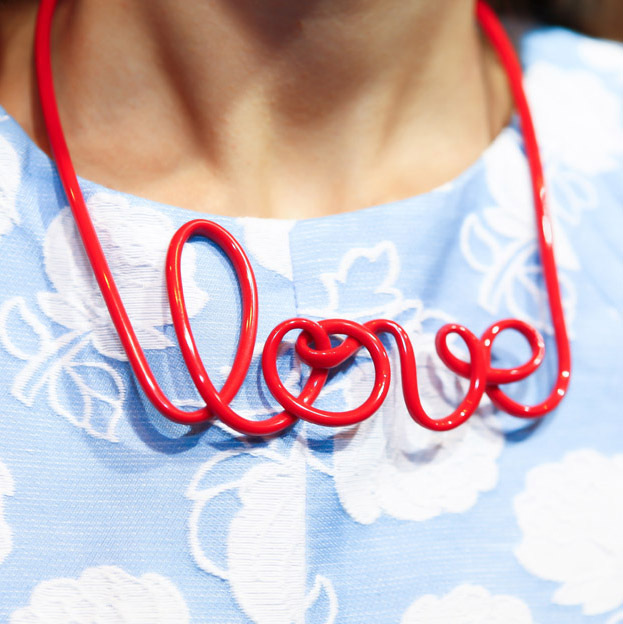 Tatty Devine jewellery is colourful, confident, and has something to say. 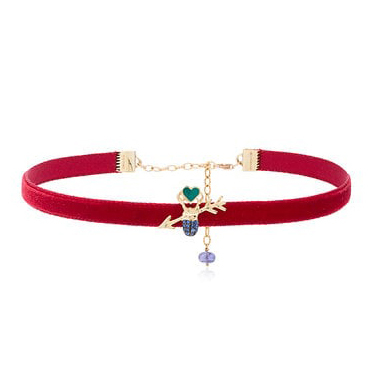 Tatty Devine believes life and jewellery should be fun- We agree! 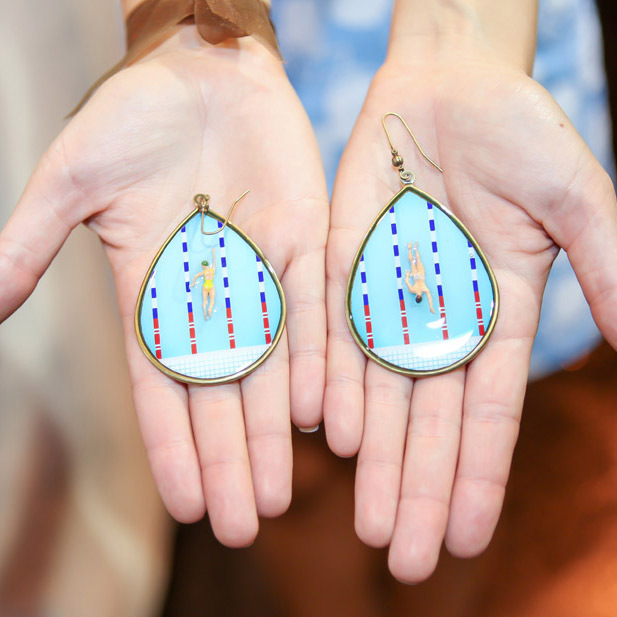 Funky earrings by Kika Mishto with swimmers swimming towards each other. 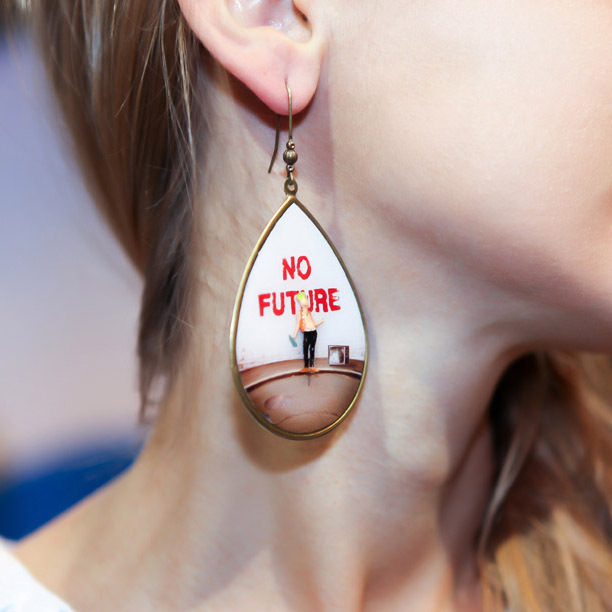 These earrings are unique enough to be noticed everywhere they are worn! Valentine Herrenschmidt has a strong passion for words. 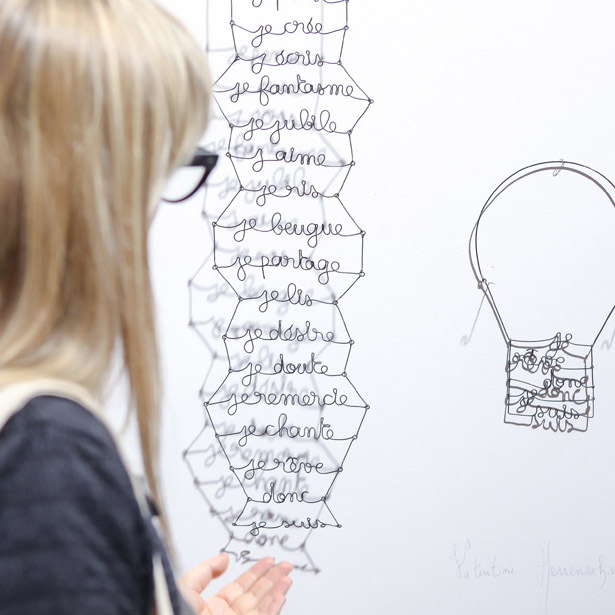 Through jewelry she realised her fantasy to “cover women with words.” His calligraphic sculptures can be found in various shops and galleries in France and abroad. I am looking forward to visiting the Marina Fossati secret showroom in Milan. We will be discovering the laboratory in which the one-of-a-kind jewellery is made! With careful observation and a passion for craftsmanship, the very wearable results are truly astounding! Since the brand’s beginnings in the ’70s, Marina Fossati styles have driven many fashion seasons! It continues to do so today with even greater success and more fun! Designs play with stones, fabrics and metals to create unique objects: accessories needed to define the look of tomorrow. 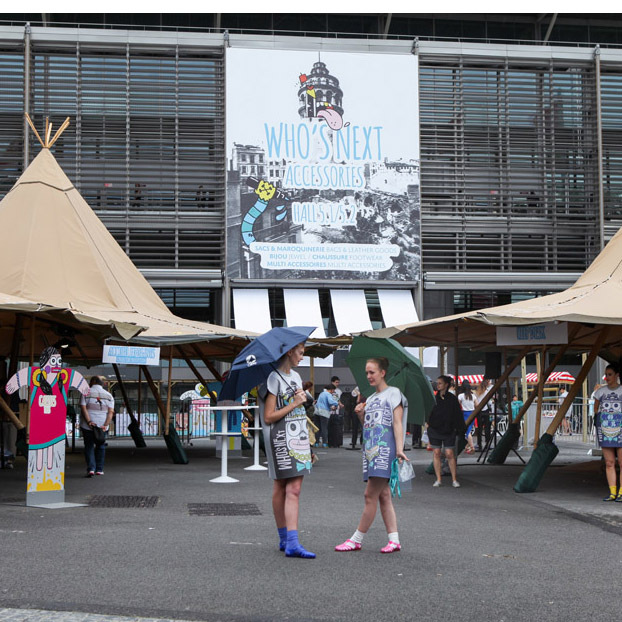 WHO IS NEXT show in Paris had a good vibe! 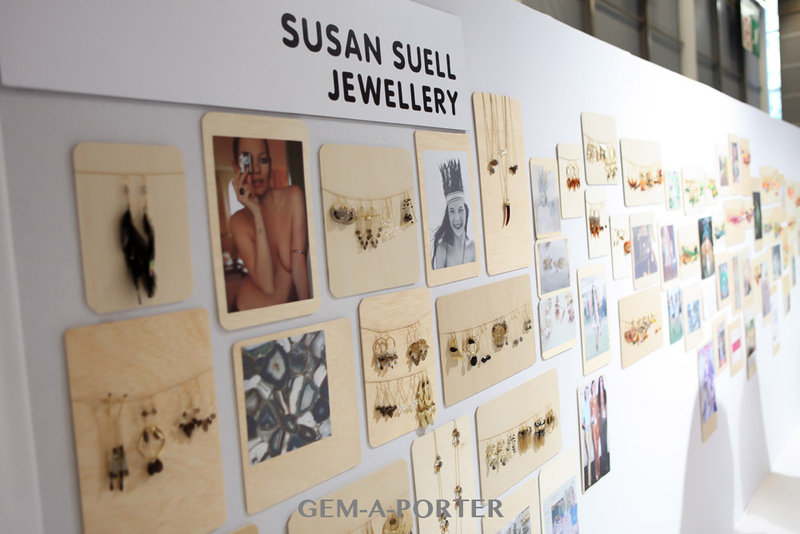 The jewellery designers, creative displays and energy was unmistakable- we are looking forward to the next show! I would love to hear what you think by leaving me a comment below. Thank you! 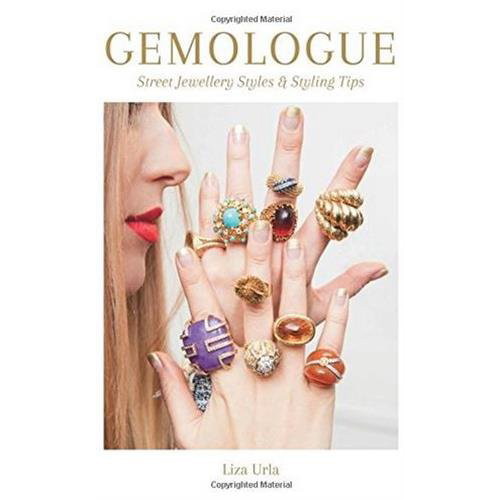 GEMOLOGUE by Liza Urla is a celebration of fine, fashion and vintage jewellery featuring exquisite global discoveries, trendy urban street style, exclusive interviews and rare jewellery reviews. GEMOLOGUE jewelry blog by Liza Urla is featuring talented jewellery designers, trendy urban street style, exclusive interviews and rare jewellery reviews. This jewellery blog’s goal is to encourage and educate about jewellery online in a fresh and original fashion to inspire women and men across the globe in a fashion and travelling context. 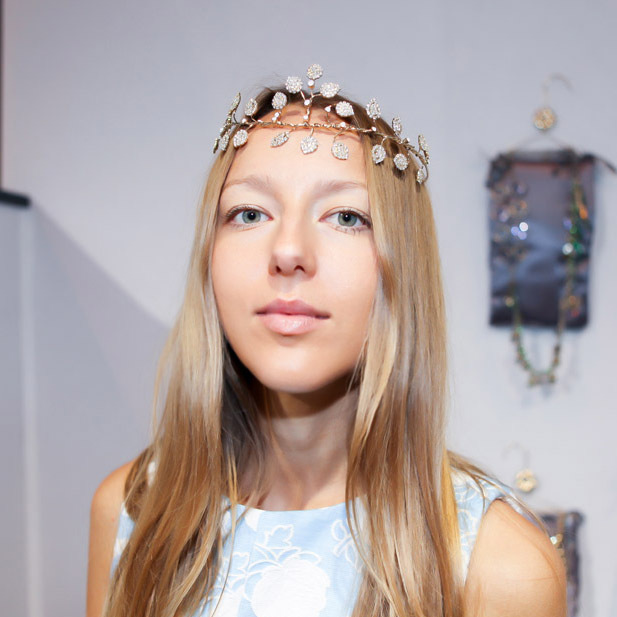 Jewellery blogger, writer Liza Urla, the founder of GEMOLOGUE, is a London-based and NYC-educated gemologist, who has travelled to and lived in many countries. 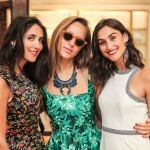 She is now one of the most influential digital jewellery tastemakers. 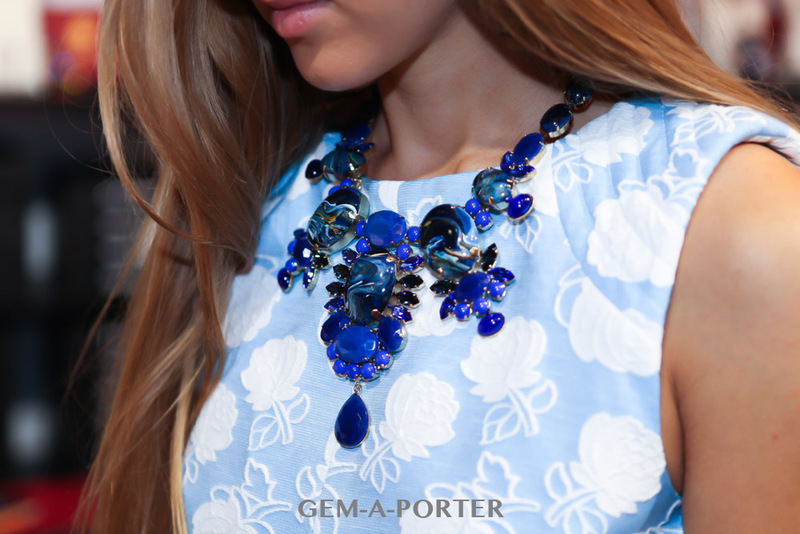 Her jewellery influence has been acknowledged by Financial Times, Vogue and Harper’s Bazaar.